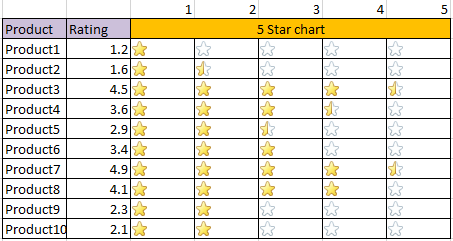 We will be using the following data to create the star rating in Excel. The data has list of products and its associated Rating. 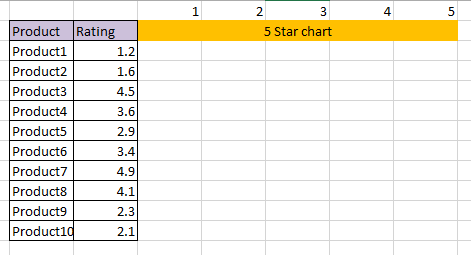 Now we need to write a formula to fill values in the five grid column based on which the star rating is formed. 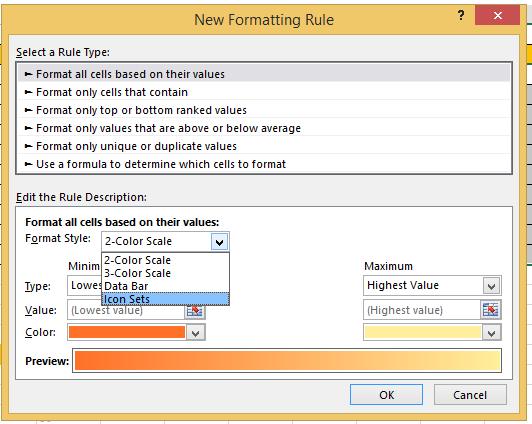 So, the basic idea is, if a product has 4.30 rating, we want to print 1, 1, 1, 1 and .30 in five columns. We will be using formula =IF(C$1<=$B3,1,IF(ROUNDUP($B3,0)=C$1,MOD($B3,1),0)) to fill the first star column of the product1. What is this formula is about ? 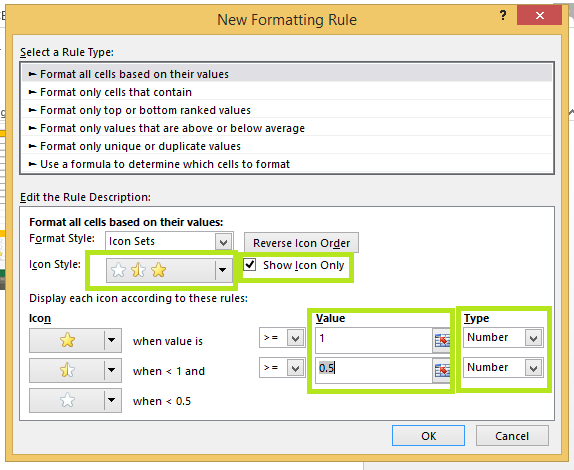 If the column value is greater than the rating value then check the roundup of rating value is equal to column value, If so then take the modulus of the rating value and replace it with the cell value, If not Replace the cell value with 0.